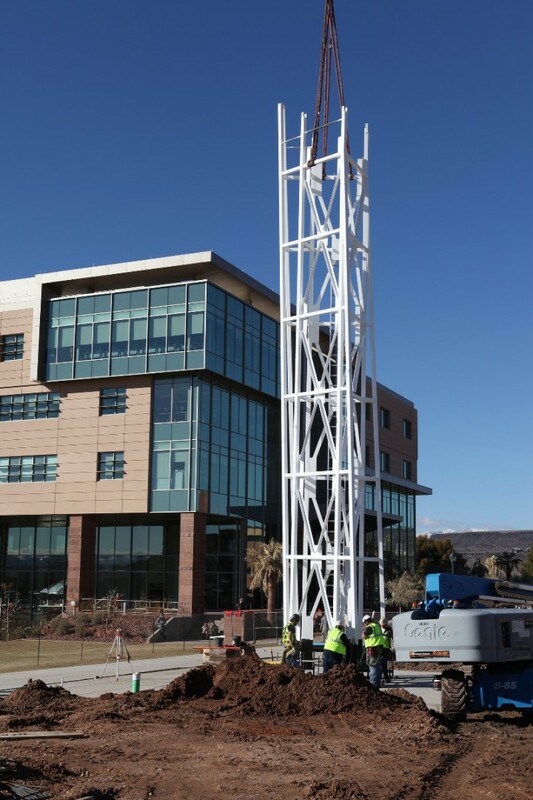 FEATURE – A new symbol of learning and knowledge is rising on the campus of Dixie State University this spring. This iconic symbol is an illuminated 80-foot clock tower located on the pathway between the Holland Centennial Commons and the Udvar-Hazy building. The tower is one of the final projects in the Centennial Campaign, a plan to celebrate a century of learning at DSU by improving facilities and the campus to lay the foundation for the future. After reviewing dozens of images of clock towers at other universities, DSU President Stephen D. Nadauld decided that the tower should have a modern appearance to represent a new university that is looking toward the future. In addition to its sleek triangular design, the multicolored lights on the inside of the tower will be visible through veins of translucent glass. The uppermost section of the tower will truly be a beacon in the night, throwing a shaft of light at an angle, highlighting the geometric angles of the tower shining more than 100 feet into the air. The speakers on the tower will be heard across campus and will play the expected carillon bells, but will also be programmable to play a variety of tunes. This opens the door to all sorts of possibilities for special occasions, Nadauld said. The magnificent tower rising from the ground will not be the only uplifting feature of this project. At the base of the tower, sandstone pavers with inlaid motivational messages and quotes will be set into the ground and retaining walls. Cheri Atkin, who has been intimately involved with the Centennial Campaign, said she hopes that students, community members and visitors alike will take time to memorize just one such message, and try to live by those inspiring words. 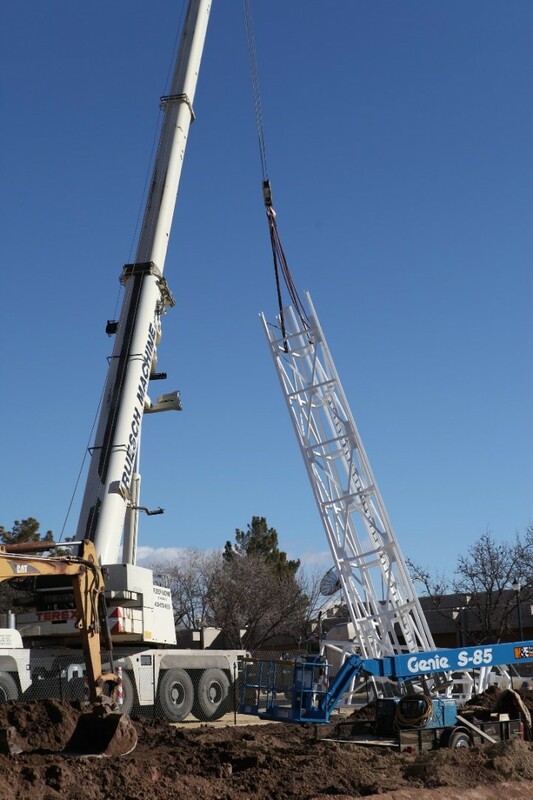 Construction of the clock tower started on Feb. 5 and is expected to be complete by mid-April. Nadauld’s wish is that it will become one of the most recognized man-made icons in the St. George area, serving as a symbol of possibility and hope. Written by Michelle Sagar for St. George Health and Wellness magazine and St. George News. Sagar, a student at Dixie State University, is working towards a bachelor’s degree in business administration with a minor in technical writing. Copyright St. George News, StGeorgeUtah.com Inc. and St. George Health and Wellness magazine, 2014, all rights reserved. St. George Health and Wellness magazine joins with St. George News to provide feature articles focused on fitness, nutrition, health, mind and body, and family wellness. The St. George Health and Wellness magazine is distributed to hundreds of locations every other month throughout St. George and surrounding areas. 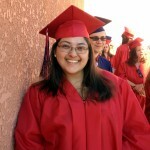 Articles are written by local experts and providers - for more information on any of these, visit www.saintgeorgewellness.com. Possibility….and hope…??? COME ON!!!! Gimme a break. It’s ugly and does NOTHING for the landscape. Totally out of character for the campus. WHAT. EVER. Its incredible to me what people will do with other peoples money. I’d be willing to bet this project never would have left the planning stage if the 3 or 4 people behind it had to put $500 of their own money into the project. Institutions that get free money, separated from the people its taken from, make really stupid decisions with that money. See also: governments, universities, many non-profits, tuition, taxes. Looking toward the future with an analog clock! Actually the light pollution does cause problems with wildlife. Not so long ago a friend and I picked up a stranded water bird that had mistaken the luminous glow of the commercial buildings lights ( Maine Street Saint George) as a water landing site. It could not take flight from the ground, so it was trapped there on the sidewalk in distress. I assisted her with TNR locally and we used her cat net and large kennel to rescue it. After speaking with a wildlife rescue and rehab place in Cedar city we were directed to release it at a pond. One happy bird. There are some counties and cities with ordinances in place to keep lights off to protect migration patterns. So it really is a legitimate problem. Saint George seems hell bent on remaining behind the times in so many areas. It would have taken one person at the college to “google” light pollution and impact a few minutes to figure that out. It’s not brain surgery. It’s just laziness and a lack of concern for long term consequences. ( or students)struggling with the college tuition fees. That to me is a responsible investment for the future. In your discussion with the bird, did he mention the flashing lights of all the vehicles on Main Street also confused him? Most birds I’ve heard, tend to have night blindness and sit it out til daybreak. But that’s for a different discussion. I’m also concerned with the ugly tower’s bell ringing tones. I hope they don’t include rap music. sparrows hate rap. seriously ugly. who designed this? who passed off on it? SUU has a great clock tower. This thing is going to be like every “creative” thing built in the 70’s. Creative but Ugly when it was built and an atrocity 10 years down the road. A couple quick facts regarding this phallus, ahem, sorry clock tower. The funds to construct this monument to DSU’s president Nadauld were donated by a few of the area’s good ol’ boys, no tax -payer or state funding was used. Regarding the design, I’m sure we would all benefit from some updated photos. Okay, I don’t really love the looks of the clock tower but I think some people (above) are just hell bent on being negative. There are lots of positives about it. Its not the design I would have chosen, but I’m very glad for a clock tower, I like the sound, I like the unifying effect, I like that I don’t have to dig my cell phone out of my bag to check the time when walking across campus….there are other positives; I dare you to attempt it.